Dermesse offers a full range skin care system: acne treatments, anti-aging formulas, eye care, sun protection, moisturizers, toners, lightners, and cleansers. I was stoked to receive the Optimize Eye Cream and Drying Lotion as full-size press samples. This eyecream brings me life <3 I loveeeee this eye cream because of its hydrating and puffiness-reducing properties. As you may know, the best way to achieve a creaseless undereye is to start off with a hydrated base (per Wayne Goss). The Optimize Eye Cream is the perfect consistency because it does not vanish upon application, but absorbs enough into the undereye skin while still leaving a thin layer of hydrated, primed, and soft skin. It makes my skin feel like butter. I find some eye creams are too thick and make it difficult to apply concealer on top. While other eye creams are too thin, and soak into my skin too quickly, leaving no hydrating layer behind. This one is right in the middle. On top of hydrating, the Optimize Eye Cream treats the cause of puffy eyes (dermatochalasis) with the main active ingredient "Acetyl Tetrapeptide-5". Acetyl tetrapeptide-5 has been shown to fight water retention, and enhance skin elasticity and smoothness. Optimize is part of my morning and evening skincare routine. I apply it first thing after applying my serum, but before my facial moisturizer. To apply, I pump about half a pea-size onto my ring finger, and massage the cream between my two ring fingers to warm it up. Then, I gently pat the solution to my undereyes and on the sides of my nose. Honestly, I love the texture so much I want to spread it all over my face, but I know it would be a waste product. On top of hydrating and reducing puffiness, I love how the Optimize eye cream is fragrance free. It has also become my go-to eye cream because it does not cause my eyes to sting or water. As a victim of acne, I was excited to receive their drying lotion. It looks identical to Mario Badescu's Drying Lotion because both come in little glass bottles and both the solutions are pink. Also, both solutions contain sulfur, salicyclic acid, camphor and zinc. However, Mario Badescu's also contains alcohol, water, calamine, resorcinol, titanium dioxide, talc, and glycerin. I try to avoid alcohol in my skincare, and so, I enjoy the fact that Dermesse contains only sulfur, salicyclic acid, camphor, and zinc. My skin absolutely loves sulfur and this drying lotion has 10% sulfur. I have been using a prescription facewash with 10% sulfur and it really helps my acne when it's bad. My acne responds quite well to this drying lotion. It calms and speeds up the exfoliating process of any current breakouts. It also helps any upcoming bumps to dry out. 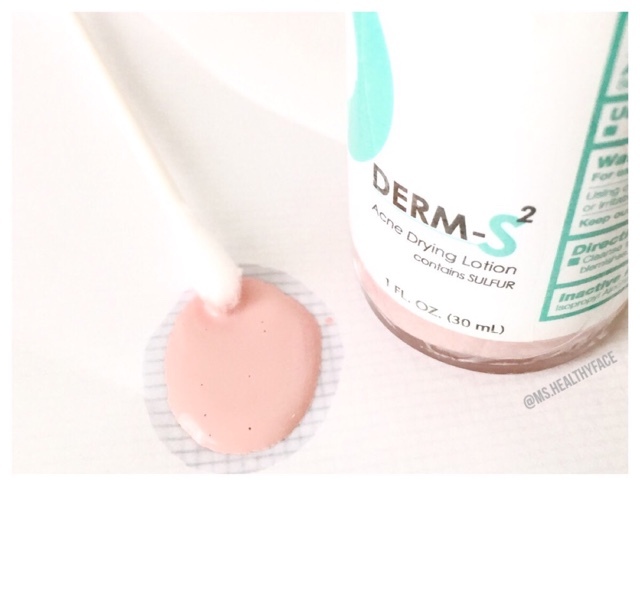 To apply: shake the bottle up, dip a Q-tip inside, and then dot on the necessary spots. In the morning, wash your face as usual. This is a great overnight remedy when you need a quick fix and can't run to your dermatologist to get a cortisone shot. You can find the Optimize Eye Cream and Drying Lotion at www.dermesse.com. What's your favorite not-so-famous beauty brand? Optimize Eye Cream: Gorgonian Extract (Sea Whip), Yeast Extract, Squalane, Acetyl Tetrapeptide-5, Placental Enzymes, Bisabolol, Vitamin E, Deionized Water, Mineral Oil (Pharmaceutical grade), Decyl Oleate, Cetyl Alcohol, Glycerine, Glyceryl Stearate, PEG-40 Stearate, Caprylic/Capric Triglyceride, PEG-100 Stearate, Dimethicone, Phenoxyethanol, Methylparaben, Propylparaben, PEG 75M, Disodium EDTA. 10% sulfur, 2% Salicylic Acid, Camphor and zinc. Isopropyl Alcohol, Aqua (Water,Eau), Calamine, Camphor,Sulfur, Resorcinol, Salicylic Acid, Zinc Oxide, Titanium Dioxide, Talc,Glycerin.